Tribal Women from inaccessible remote areas of Pangi valley in Chamba, H.P. has showcase their products in Aajeevika Mela (14th April – 23rd April) held at Pragati Maidan in New Delhi. That is the first time when a group of women from such a remote tribal community has participated at National level fair. Pangihills is a platform which provides market linkage to the products. This journey of transition from forest dwellers to entrepreneurs has been made possible through Ceva which has initiated the formation of SHG’s in the remote tribal area. Ceva has given them a platform through by breaking the barriers of society and made them self dependent. Despite having challenges like work and family conflicts, male dominant and orthodox nature, inability to be vocal about opinion in any matter, illiteracy, lack of information and assistance, mobility constraints etc., Ceva took it as a challenge and motivated tribal women for SHGs which have paved the way for their development and sustainability. In these SHG’s tribal women have skillfully trained and polished in their traditional handlooms and handicrafts and so that they can compete with modern market demands and become self reliant. They have also made aware of the use of valuable forest products without harming the nature. 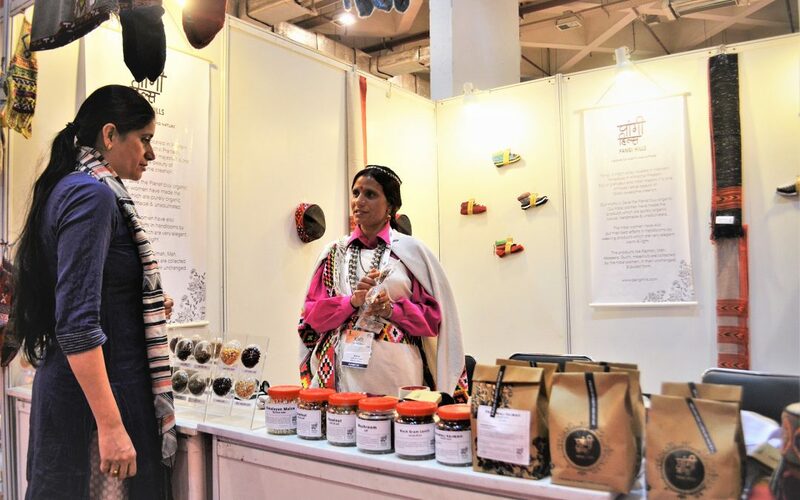 Women SHG’s have produced array of unique, organic and finest quality products and displayed them at fair. They have shawls, caps, socks, gloves, pairy etc. in handloom products. Tribal women have collected valuable forest products like Hazelnut, Gucchi, Wild Apricot, Pine nuts etc. and cultivated pure organic produce such as pulses, cereals and herbs of ethno- medicinal value. These products were of such a great quality and pricing that people from various walks of like didn’t hesitate to pack them off and got recognized globally. Women got fair value for their products. Ceva is changing the face of the society, by empowering marginalized women from tribal areas. Women from remote and rugged Pangi valley have proved that unprivileged, dependent ordinary tribal women are indeed capable of doing extraordinary work. Now these women have become an inspiration to other women of society.